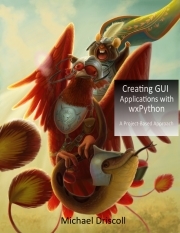 This week we welcome Vasudev Ram (@vasudevram) as our PyDev of the Week. Vasudev is a freelance developer who blogs on lots of different software topics, including Python. He is the creator of xtopdf, which you can read more about here. Let’s spend some time getting to know him better! Sure. I’m based in India, and currently an independent software consultant, after having worked for various companies, US and Indian, for some years. Music (various genres, including Western and Indian), hiking are some of my hobbies. I studied mathematics in college. Got into computers in the 12th grade of high school, via the route common to many: learning on personal computers, of many makes. A school friend (an electronics hobbyist) showed me a Casio pocket computer one day, with BASIC in ROM. It came with a manual and example programs. It even had a 4-line graphical LCD display. 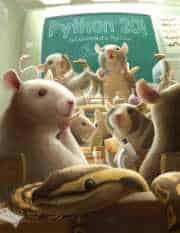 Then in my college days, I took many computer courses, on programming languages and other topics; also did a lot of programming in various areas that interested me, including math, graphics, sound, etc. Started working as a programmer after college. Actually worked as a freelancer right at the start, on a couple of small but interesting projects, in dBASE III and Turbo Pascal (both hugely popular tools and fairly powerful tools at the time.) Then joined a small software house as a programmer. (Later grew into roles of a system analyst, project manager, etc. in larger companies, Indian and US-based, getting to work on a variety of projects over the years, and also getting (and sometimes giving) good training on various fundamental software topics; and am now a developer again, back to freelancing a.k.a. consulting, from some years ago.) Did a lot of C programming and shell scripting on UNIX, early in my career. Learnt a good amount of system level stuff from that, which has been of help throughout my career. Also, I’ve always been interested in systems level work and the development of tools and utilities. Published an article on IBM developerWorks on the topic of “Developing a Linux command-line utility” – see the links section below for links to it. 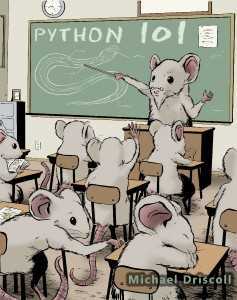 I started learning Python several years ago, initially as a hobby, after coming across it via some articles on the Net. I was working on Java and C at the time, professionally. Found Python very readable and productive, you know – “executable pseudocode”, and of course the “batteries included” thing, though it has many more libraries now than when I started, and is also at higher versions; I think it was around v1.5 then. Over time I started using it in freelance consulting projects, and also because of its high-level nature, started using it to prototype some project / product ideas, and it often turns out that the prototype is good enough to be the final product too – in the sense of not needing to rewrite it in another language for performance or other reasons. Turbo Pascal was great fun – used it a lot, near the start of my career. It was an incredible environment for the time – a blazingly fast compiler (like Turbo C and Delphi later) and editor in under 40KB, yes K, not M. Did a lot of UNIX C at work and some for fun, Turbo C too, earlier, also a lot of fun, a lot of basic graphics programming in Turbo C and Turbo Pascal; Borland tools were almost the ultimate (to me), for a period; Java, at work, earlier, was good too; I love the elegance of servlets, which I worked on very early, before J2EE was a thing, though JSP – not so much, and to this day, Java Servlet Programming (1st edition) by Jason Hunter, remains one of my favorite programming books – extremely well written, IMO. Then used Ruby (and Rails) in dot-com projects, and for some years now, a lot of Python, for both web and non-web work, as well as for my own open source projects. I’ve used SQL (in various relational databases, both proprietary and open source) and shell (sh/ksh/bash and friends like sed and awk) pretty much throughout my career. I’ve also done some Visual Basic, for real life projects and small tools, and like it (as with Delphi) for its speed of GUI app development, though I’m not much of a fan of VB syntax). 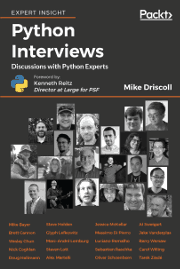 I don’t have a single favorite, but Python is probably first – for a while now – due to its productivity, readability, community, user-friendliness, and its very large number of libraries (though as with all languages and tools, it has its issues). I think it was Dennis Ritchie who was asked, if he was stranded on a desert island, with only one programming language, which one he would want, and he said C. I’d probably want Python as well as C. My other favorites are C (evergreen) and Delphi (though Delphi is more of a complete development environment than just a language). I’ve written a couple of small tools in it earlier. Not an expert on it though. Ruby is fun too. I was an early Ruby user, and I like its somewhat greater focus on object-oriented-ness than Python, but am not a language lawyer, so don’t quote me :). Haven’t used it much lately, though I was good at it some time ago. I also dabble in other languages now and then, in my free time, out of interest and to learn other ways of doing things. Have tried out Lisp (also Scheme) a bit, via tools like Franz’s Allegro CL and LispWorks’ tools, read some of Peter Seibel’s Practical Common Lisp and a few other Lisp books, and like the language. For anyone who is interested in new/old/offbeat languages, some that I have checked out in the past include Pike, Elastic, Icon and Forth. Anyone interested, feel free to subscribe to its feed, or the subset consisting of Python posts. As with languages, there are many. 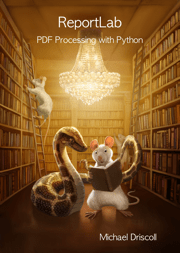 xtopdf is my own Python library for PDF creation. It builds on ReportLab, providing a few higher level abstractions for a subset of ReportLab’s functionality. That’s one I enjoy working on; somehow, I keep on finding new applications / uses for it. Is there anything else you?d like to say? Yes. Thanks for inviting me to this series! I’ve been reading the other posts in the series; they are interesting. I’d like to mention that I’m a reader of your blog, and have found many good posts there. 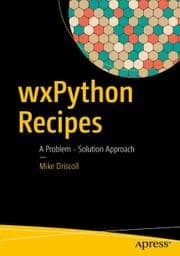 Finally, I figured that you are the person who hangs out on the IRC channel #wxpython (with the nickname driscollis), and many others, as well as I, have found your answers on it helpful. Thanks!